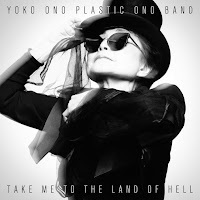 I've never gotten the whole Yoko Ono thing, but some people do. And apparently Ad-Rock and Mike D get it. Yoko One Plastic Ono Band have an album coming up on September 17, Take Me to the Land of Hell, which features a ton of collaborations including ?uestlove, tUnE-yArDs, members of Wilco, Cibo Mato, and more. You can stream "Bad Dancer" with Ad-Rock and Mike D over at Pitchfork. It's definitely not my thing, but it has the surviving Beastie Boys on it, so here you go!